This is a short homage to the German mathematician and astronomer Johannes Kepler. Apart from contributing to many of aspects of both science and the practice of science, he presented a new solution to the problem of polyphony as opposed to that offered by the Pythagoreans. For him just intonation and polyphony prevailed because they were natural and corresponded to archetypes in the mind of God. The piece can be viewed programmatically, or not. It is a piece with wildly contrasting materials and probably best appreciated on a full range sound system, or not. Jürgen Simpson’s output includes electroacoustic works, music for film, dance, two operas, and three albums with Irish rock band The Jimmy Cake. Collaborators include Michael Nyman, Kevin Volans, Raymond Deane, Judith Ring, John Scott, Shobana Jeyasingh, Davey Spillane and Clare Langan. His second opera Thwaite (librettist Simon Doyle, director Dan Jemmet) received the 2003 Genesis Opera Projects top prize. 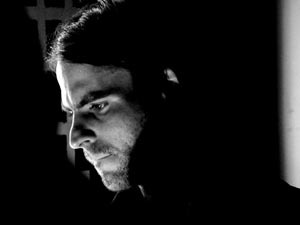 He has a specific dedication to live electronic music performance and has played electroacoustic works by Stockhausen, Cage and Nono as well as his own work. He is director of the Centre for Computational Musicology and Computer Music at the University of Limerick.